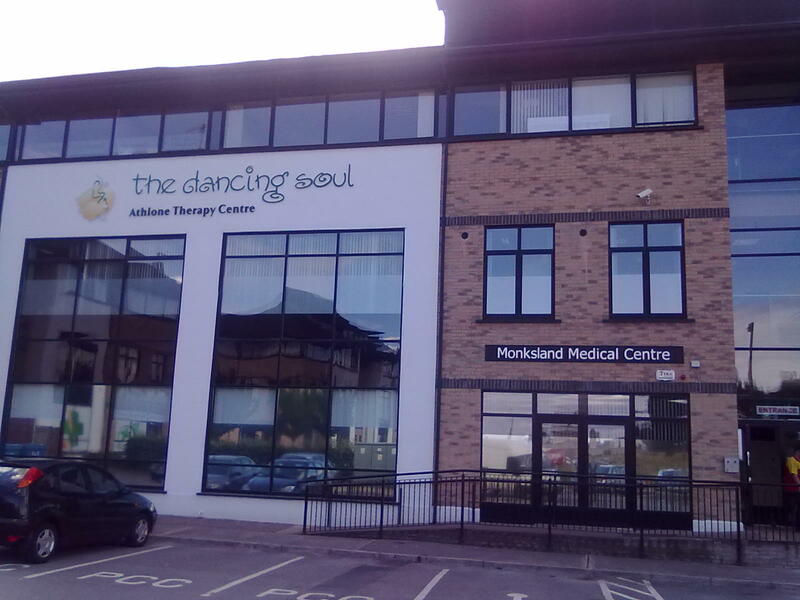 My main clinic (Westmeath / Roscommon) is located in the Dancing Soul/Athlone Therapy Centre, Monksland Business Park, Athlone. 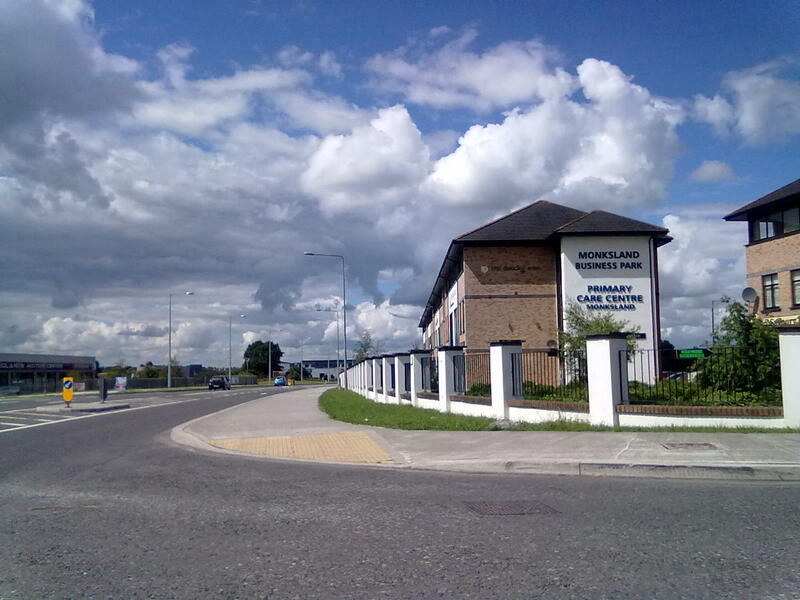 That’s on the Roscommon side of Athlone rather than the Westmeath side and is very easy to find, being just two minutes off the Galway motorway. It’s simple to find. From the bypass exit at Junction 13 and follow the sign for Monksland. Just under a Kilometre from the bypass you’ll see ‘Monklands Business Park’ and the ‘Primary Care Centre, Monksland’, on your right. Turn here and the clinic is on the top floor over the Primary Care Centre. See the photos below to help with navigation. Then take the 1st left and keep left into the car-park (there’s loads of parking and it’s all free). And take the stairs or lift to the top floor. The centre is to your left as you look at the lift doors.